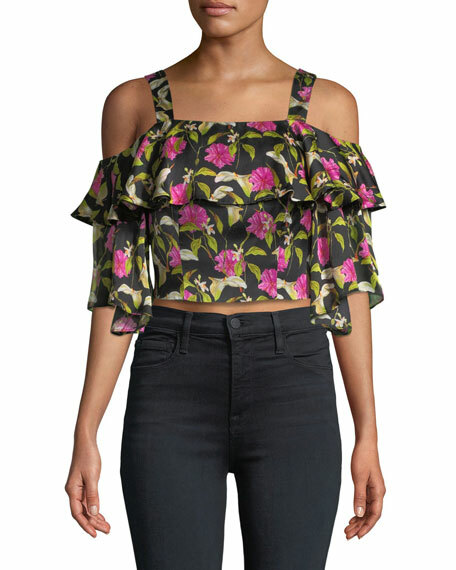 Nanette Lepore "Posey" top in silk crepe de chine with floral embroidery. 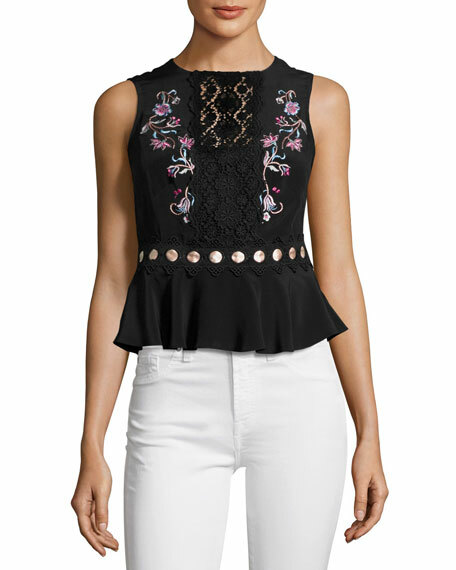 Laced detail through waist and center front. Satin medallion detail wraps waist. For in-store inquiries, use sku #2162449. 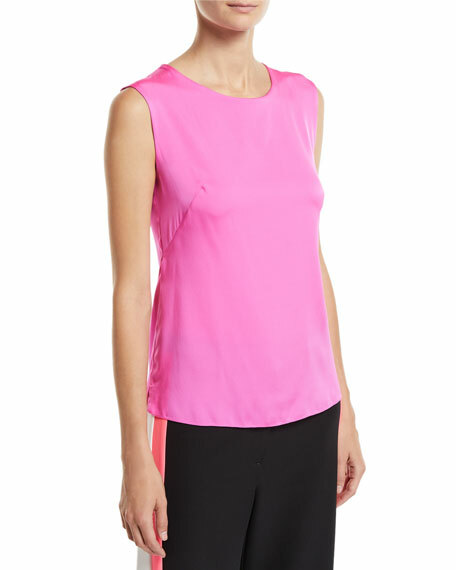 Giorgio Armani blouse in silk charmeuse, featuring draped front detail. Crew neckline; button/keyhole back. Sleeveless. Semi fitted. Pullover style Silk/spandex. Made in Italy.